Did you enjoy your 4th of July holiday weekend? Did you have fun? Did you attend a picnic? Did you kick back with a barbecue and some cold beer with family and friends? Did you go to the beach or the lake for a little R&R? When the sun went down did you put a blanket on the lawn of the local park and watch the fireworks display? Rick Wershe didn’t do any of that. He couldn’t. For him, Independence Day was just another day of his life prison sentence for dealing drugs. Over the years he’s helped the FBI send drug dealers to jail, he’s helped thwart a Mafia murder plot and he helped put a dozen corrupt cops in prison, but somehow that doesn’t count in Michigan’s politicized parole system. Wershe informed on politically-connected people, so he’s been in prison far longer than major drug dealers and hitmen. There is a vendetta against him, plain and simple. 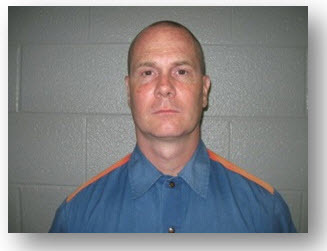 For Rick Wershe, Fourth of July recreation was limited time in “the yard” with other inmates at the Oaks Correctional Facility in Manistee, Michigan. For Inmate 192034 the Fourth of July was just another day in prison—he’s been behind bars his entire adult life. Since March this blog has been exploring the legend of “White Boy Rick”, the media’s favorite alias for Richard J. Wershe, Jr. This week’s post will take a “holiday” view of his tragic case. First, let’s review yet again. At age 14, Rick Wershe was recruited by the Detroit FBI to spy on the Johnny Curry drug gang on the city’s east side. Rick’s late always-on-the-edge father was a paid FBI informant. Through Richard J. Wershe Sr. the FBI found out Richard J. Wershe Jr. was known and trusted by the Curry brothers and their henchmen because he was just Ricky, a white kid from the racially mixed ‘hood. The FBI wanted to bring down the Curry organization because Johnny Curry was married to Cathy Volsan, the favorite niece of then-mayor Coleman Young, a perennial FBI target of investigation. The hope was that if he was facing long prison time, Johnny Curry might rat out the mayor about…something. So a federal drug task force of agents from the FBI, DEA and a small detail of Detroit police officers taught young Rick Wershe the ways of dope dealing. Yep. Law enforcement taught him how to be a drug dealer. The Detroit cops, always in a buy-bust mind frame, had Rick Wershe Jr. make numerous drug buys with law enforcement money. While there wasn’t any FBI rule or regulation back then about using juveniles as informants in criminal cases, the agents knew it was a highly questionable thing to do, so they put informant information from Richard Wershe Jr. in the informant file for Richard Wershe Sr. They had the same names except for senior and junior, a very convenient cover for info from a kid they were paying to be a mole in a drug gang. Ricky, as he was known to the Currys, proved valuable in the early stages of the Curry drug case. He provided good information. His most important tip was that he was at a meeting in which the Curry gang discussed how to finesse their role in the accidental murder of a 13-year old boy. The Curry group shot up a house to intimidate the owner over money he owed them. The man’s nephews were in the house at the time and one of them caught a bullet in his chest and died. The Currys feared homicide investigators would question them. There was nothing to fear. Someone high up in the Detroit Police Department pushed the investigation away from the Currys and toward an innocent man. Sending an innocent man to prison for murder was less important to the police department than protecting the mayor’s niece because her husband’s drug gang had killed a little boy. When the FBI got authorization to use wiretaps against the Currys Rick Wershe’s info became less important. After putting Rick in the criminal underworld, they dropped him. If anyone in the U.S. Attorney’s office, the Detroit FBI, the Detroit DEA or the Detroit Police Department ever gave any thought to helping or getting counseling for the kid they lured in to a life of crime to help them make a big case, there’s no evidence of it. Rick Wershe Jr. came from a dysfunctional family and mostly raised himself. He had nowhere to turn, no one to guide him back to the life of an average teenager. He had dropped out of school. He did the only thing he knew how to do, the life the cops had taught him to live—he tried to become a dope dealer. He failed. Oh, sure, he managed to act as a middleman cocaine wholesaler for a while but a team of DEA agents and Detroit cops, wallowing in the media glory of being the “No Crack Crew”, teamed with the Detroit Police gang squad to bust Richard Wershe, Jr. who came to be known as White Boy Rick for his youth and the color of his skin in a mostly-black criminal underworld. Gullible and/or lazy Detroit reporters were only too happy to call him a “drug lord” and a “kingpin” without ever asking for the evidence to support such a reputation. No one in the media ever stopped to ask how a freckle-faced white kid who was not yet 18 could possibly be a top-echelon drug trafficker in a mostly black, mostly adult racket. But hey. It made for great headlines. Here’s the truth based on extensive review of official paperwork: there is NO evidence, NONE, to support the claim that Richard J. Wershe, Jr. was ever a major dope dealer. Prosecutors, judges, uniformed city officials and political hacks on the Michigan Parole Board can huff and puff about Rick Wershe all they wish. There is NO evidence to support the accusations that Wershe was ever a major drug dealer. He’s doing life because he ratted on the wrong people—a politically-connected drug dealer and cops who were on the take from drug pushers, including one cop who was a local celebrity because he had been in a movie with Eddie Murphy. The Detroit political and criminal justice establishment has vowed to keep Rick Wershe in prison until he dies for telling the FBI the truth about some of their own. It is commonplace for cops to go to bat for their informants because without them they wouldn’t make many cases. This includes the FBI. The criminal justice system relies on informants and “cooperating witnesses” far more than the public knows. Intercession by law enforcement for someone who helped them didn’t happen in Rick Wershe’s case. The Feds let him twist in the wind in his local drug case. To do otherwise, to help their teen informant when he got in a jam, would be to admit they had recruited a 14-year old as a paid informant against a violent drug gang. Instead, they sat on their hands, they kept their mouths shut and they let Richard Wershe Jr. get convicted. In 1988, it was a life prison sentence under Michigan law. The Michigan Supreme Court eventually struck down the law Wershe was convicted under as cruel and unusual punishment. Since then all of the drug dealers convicted under that law have been released from prison. All except one. Richard J. Wershe Jr.
One idiot who has fought against parole for Rick Wershe makes the claim that Wershe’s friends are all criminals. Well, duh! You dimwit! He’s been in prison he entire adult life. With few exceptions the only people he knows are other criminals. Since age 18 he’s never had the chance to mingle with anyone other than convicted criminals. It is this kind of breathtaking stupidity that makes the Wershe case so frustrating. It’s true he’s done some dumb things, things that are against his own self-interest. But he’s paid the price for his bad decisions for years and years. They say justice delayed is justice denied. Richard J. Wershe, Jr. has been denied justice for a long, long time. If you enjoyed your Independence Day festivities, congratulations. Rick Wershe didn’t have the chance to do that.